Illinois Central GP38-2 9602 is the power for today's L595 train, switching at Waupaca. 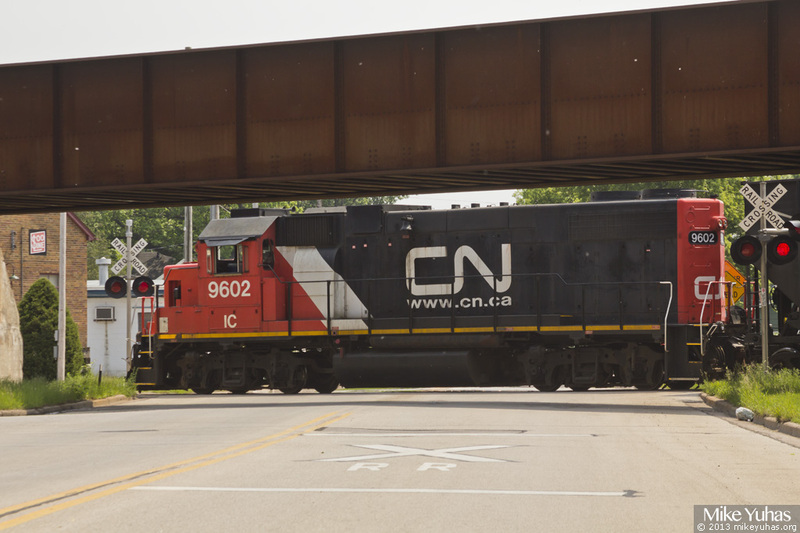 The overhead bridge carries CN's mainline; industrial trackage, supporting one of the foundry's plants, crosses Oak Street at grade. Note Soo Line sign on nearby building.